Our homes are our havens. During the heat and humidity of the summers in the McKinney TX area, we count on the cool comfort of our home to provide respite from that heat. We don’t often think about the air conditioning system that provides that refreshing cool air; until we realize that the air isn’t cool anymore. Perhaps there are some odd noises to indicate that your system needs attention, but often there isn’t an advance warning. Whatever your particular situation, when your air conditioning isn’t working as it should, you want to call a company that has experienced technicians who can respond immediately to your AC repair needs. When you call Joplin’s Air Conditioning & Heating, you’re reaching a company that has over 85 people dedicated to keeping their customers’ air conditioners working in tip-top condition. We have been providing air conditioning repair services since 1978. Our technicians are NATE-certified, arrive in well-stocked trucks prepared for most repairs on the first trip and aren’t happy until you’re happy and cool. You can feel confident calling us for AC repair whether it’s the middle of the week, the middle of a holiday weekend or the middle of the night. We are available 24/7 for your emergency service needs. Our maintenance agreements include check-ups in the spring for air conditioning and the fall for heating. A well-maintained system reduces the frequency of repairs. If a breakdown occurs, our technicians are available 24 hours a day for emergency calls. If your unit is more than 10 years old or requires frequent repairs, you may want to consider a new unit. If you have never had a central system, our professional staff can conduct a home energy assessment to determine the best solution for your building. Heating, ventilation and air conditioning systems last an average of 12 to 15 years. Well-maintained units may last longer. 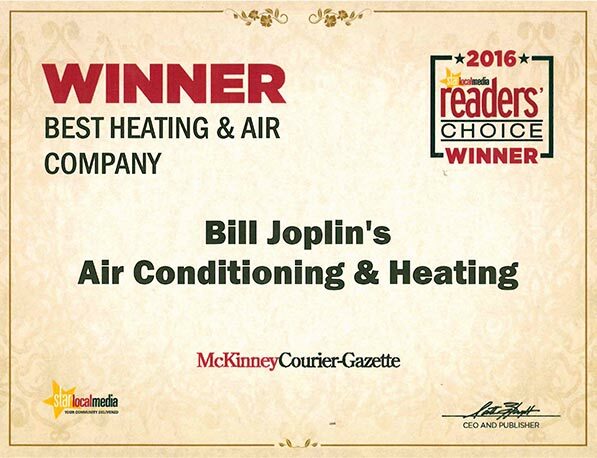 In humid climates like McKinney, HVAC systems work harder to maintain a comfortable environment. 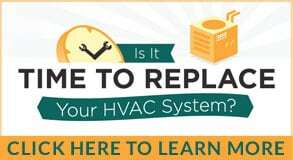 With improved energy efficiency and higher fuel costs, some consumers choose to replace air conditioners rather than repair them when units break down more frequently or cost more to run than newer models. Central HVAC systems are more energy efficient than window units if you are cooling multiple rooms at the same time. New installation includes both the mechanical components of compressor and evaporative blower as well as ductwork and grilles to deliver conditioned air. If ductwork is not feasible in your building, we can recommend other systems to suit your unique needs. To schedule an appointment for Air Conditioner Repair, fill in the information below. Someone from Joplin’s will contact you shortly.